Science journalist Ranga Yogeshwar is sceptical about an approach to science driven only by benefits and added value. In light of worrying social developments, the expert feels we need more critical debates on scientific issues and a new self-awareness in the world of science. FWF: Now that science has gradually attained greater visibility and acceptance, having its achievements increasingly called into question is a major setback. What is happening here? Ranga Yogeshwar: Some segments of the population are indeed in the process of abandoning the heritage of the Enlightenment, namely the ability to engage in dialogue on the basis of a common frame of reference which includes categories such as facts or verification. This evolution may have been promoted by individual politicians or media. But in my opinion there is a global phenomenon at work. We are witnessing the fact that part of the population has lost confidence in the fundamental values of the Enlightenment. People no longer base arguments on facts, but on what they feel to be the truth. FWF: How could this come about? Yogeshwar: The deeper narrative lies hidden in the question of how we deal with complexity. We live in a world that is complex, and that is a good thing. On the flipside, this means we need core expertise, because there are many areas in our lives that we are simply no longer able to understand. That’s why we have to trust experts. But some specialists abuse this trust by using their know-how for their own purposes or by not weighing the consequences of what they develop. Just think of the finance industry, where mathematical insights are built into algorithms that increasingly destabilise the financial world. Another example is the violent patent dispute, driven by economic arguments, surrounding the discovery of the CRISPR gene shears. That gives a negative impression to people outside of science. Instead of that we ought to be engaging in a social dialogue on such achievements, which are linked to a whole number of issues. FWF: Can scientists be blamed for these developments? In my opinion, science needs a Hippocratic oath. Yogeshwar: I think so, yes. In my opinion, science needs a Hippocratic oath. We have to be aware that the impact of science on society has become so great that researchers are no longer just sovereign masters of their discipline, but also need to reflect on the consequences of their work. The recent diesel scandal and the Cambridge Analytica affair are cases in point. In the latter case, findings from psychology were misused for manipulative voter targeting. Such situations require a clear stance and a “culture of accountability” in research, which should already be taught to future researchers during their initial studies. 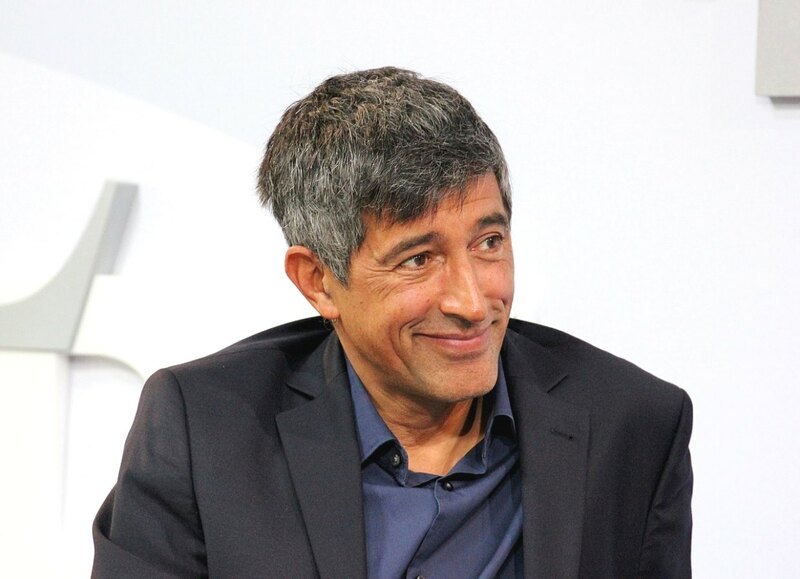 On the occasion of the FWF’s 50th anniversary, Ranga Yogeshwar will be a guest at the ORF dialogue forum “Science breaking out of the ivory tower”, held in Vienna on 10 September 2018 as part of the BE OPEN Science & Society Festival. The event takes place in cooperation with the Uni.PR network. FWF: Shouldn’t we demand even more accountability from politics at this point? Yogeshwar: Researchers too are responsible, because they are the most competent in their field and have to bear in mind the consequences of their actions. I’m very firm about that. Scientists need a keener sense of perspective, because they possess the knowledge and the intelligence to understand how far something could go. Therefore, every researcher needs to define his or her personal boundary. Google employees have recently staged public protests against their company’s involvement in a military project. This is not about limiting science, but about broadening responsibility. FWF: That’s where the media come in. How can they support the critical dialogue you want to see between science and the general public? The media per se lose credibility. reinforcement of fake news, echo chambers and similar things. And this approach has had worrying consequences for democracy. We are experiencing a dramatic decline in independent journalism because the traditional media do not have a viable business model. As a consequence, everything is shifting to the Internet and the media per se lose credibility. This is dangerous precisely at a point when society should be having objective discussions about many issues – but where it no longer has a forum for such discourse. FWF: Citizen science, in other words research by and with citizens, is currently experiencing a boom in German-speaking countries. What is your take on that? Yogeshwar: There is great potential for citizen science. Years ago I myself was involved in a project in Fukushima where we collaborated with the Safecast organisation to collect data on radioactivity in the area by providing people with small Geiger counters equipped with GPS and a flashcard. This resulted in the most accurate geographic data map ever on environmental radiation. In this context, too, the problem of trust arose. The great achievement of that particular citizen science project was that it delivered independent measurements that the citizens themselves could verify. FWF: Does that mean amateur researchers can contribute to a better exchange between science and the public? Yogeshwar: Certainly to some extent. But again, we have to realise that this involves only the tiny minority who engage in citizen science. What we need more urgently are the platforms I mentioned where we can conduct a social dialogue. Echo chambers would be entirely the wrong place for that. Ranga Yogeshwar is a physicist, science educator and the author of numerous bestsellers. For several decades he has moderated and helped shape science shows on German television, including Quarks and Kopfball on WDR, the Globus research and environment magazine on ARD and its spinoff programme W wie Wissen as well as Die große Show der Naturwunder. Since 2008, Yogeshwar has been working as an independent science journalist and moderator. He has received numerous awards.